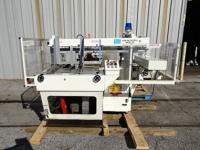 Ferguson Packaging Machinery endeavors to provide businesses with the machinery they need at a price they can afford. Our inventory includes pre-owned beverage equipment and pre-owned food-packaging equipment that is necessary for any food-producing business. We have been a global supplier of new, used, and pre-owned machinery for over 25 years, which means you can rely on us for quality products and affordable prices. 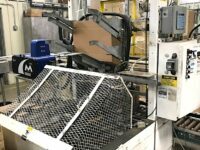 As a part of a global partners network, we can ship pre-owned food-packaging machinery to any part of the world, and we store equipment close to transport centers for fast shipping. Work with clients to buy surplus equipment assets. Offer financing and leasing options to trusted customers. Grant machine upgrades with our skilled technician partners. We pride ourselves on our customer service, so if you have any questions, contact us. If you don’t find the equipment you need in our extensive inventory, fill out our equipment request form, and we will do everything we can to find the machinery you need. Browse our inventory below to find the used and pre-owned beverage machinery and food packaging equipment.